n the centre of the Aegean, there is a group of 24 inhabited islands, which was called Cyclades because they encircling the famous sacred island and worshiping place of Delos, the birthplace of Apollo and Artemis. The bulks of the islands are no other than the peaks of a half-submerged mountain. Made of granite, gneiss, limestone and marble as well as lava and ash, the not sunk peaks of the Aegean continent form Cyclades. On the south-west edge of Cyclades in the shape of infinite emerges Folegandros island. It’s 32.07 square kilometers, 13 km in length and its width on its narrowest point “Porta” is 1.100 metres. 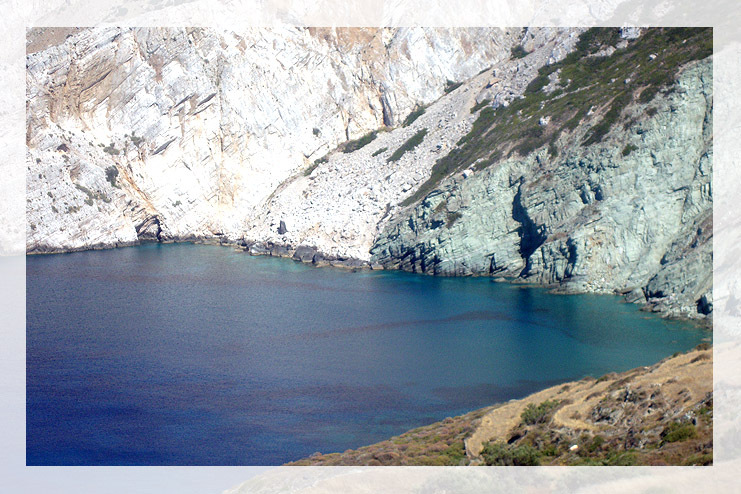 There are about 650 inhabitants on the island and its 102 nautical miles from Pireas. It includes two basic settlings, the beautiful chora, probably the most beautiful and picturesque in Cyclades with it’s impressive squares and Ano Meria with it’s untouched from time traditional character. The settlings are only 4 km apart. The port is called “karavostasis”. Since it’s a small and long island, it gives the impression to the visitor that he is permanently on deck of a boat cruising in the blue of the Aegean. It’s beautiful, blue green, crystal waters, it’s steep rocky bulks diving in the sea, it’s famous stone fences known as “scales” – probably the most beautiful in the Aegean – compose a scenery of wild, unrivalled beauty that the visitor falls in love at first sight. This is why they call the island little Santorini. It is daily connected to the port of Piraeus with conventional and speedboats during the summer months. It iw worth mentioning that Santorini, one of the world’s top tourist destinations, is only 13 nautical miles from Folegandros with a daily connection to the island. 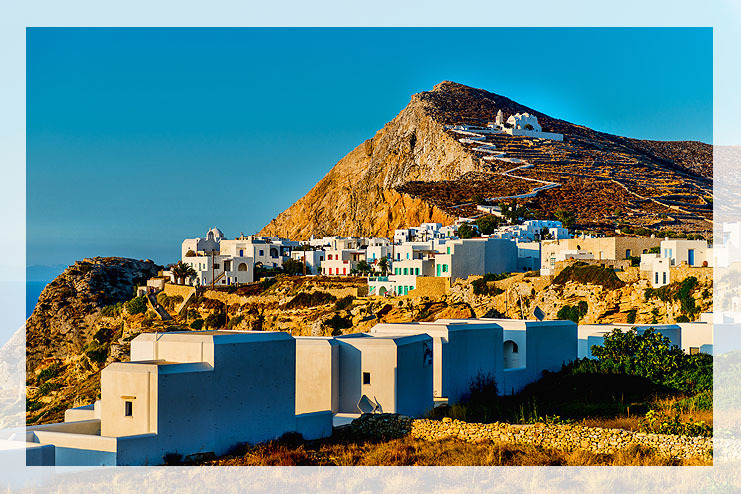 Also Folegandros island has almost daily connection with most cosmopolitan islands ( Myconos, Paros, Sifnos, Milos etc.) as well as many smaller ones.